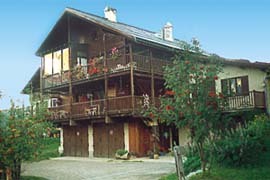 In the house of the owner, established on a no though road, 3 gites, near the farm house. 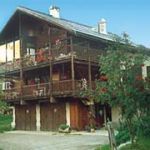 Second gite : enter on the ground floor, living-room, kitchen giving on a balcony on the south (with garden furniture), dishwasher, micorwaves oven, washing machine, TV, 2 chambers (1 bed 2 places, 2 bunk beds 1 place in an alcove), bathroom, wc. Electric heating ground, swings, private parking. Sheets rent. Label Bienvenue à la ferme. The owner, farmer, can show you his activity.